MANILA, Philippines - Two more wins away from the lone Rio Olympic ticket! Gilas Pilipinas has just entered the FIBA Asia 2015 Championship semi-finals round after beating Lebanon on Thursday night (READ: Gilas Pilipinas ejects Lebanon, sets semis duel vs Japan). The Filipino national team will face Japan next on Friday, October 2 for a spot in the gold medal game. 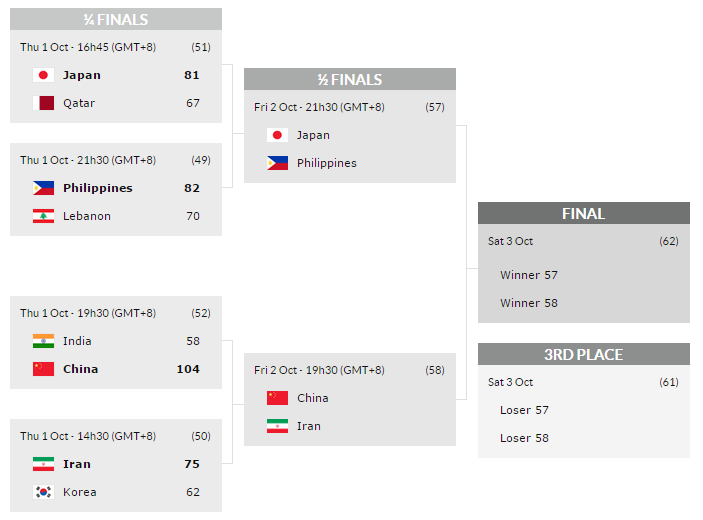 Philippines vs. Japan live actions will start at 10:00pm on Friday right after Iran vs China match-up. Livestream feed of this special sporting event is available on this page. The Philippines’ path to the finals is the “easiest”. If we’ll look at the other bracket, we can say that we’re in good hands. Gilas should work harder and never get over-confident. 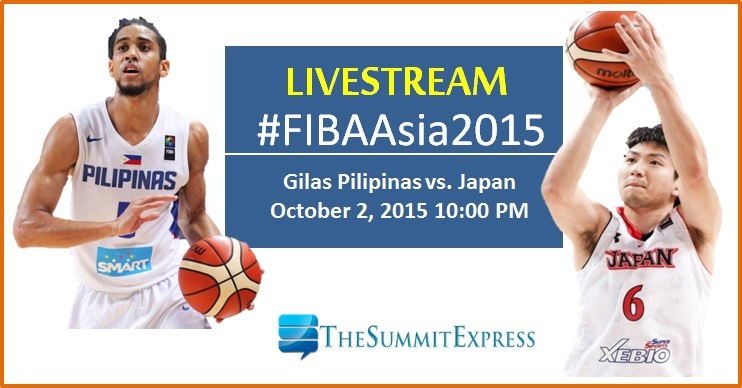 Do you think Gilas will win match-up against Japan? Will they get the precious gold medal and top honor to represent Asia in the Rio Olympics 2016? Meanwhile, regardless of the semi-finals outcome, Philippines automatically gets an invitation to the Olympic Wildcard Qualifier next year. Sports5, the official broadcast partner of FIBA Asia Championship games in the Philippines brings the live feed on multi-screen viewing (Youtube, ViewStream on television) for the avid Filipino fans.